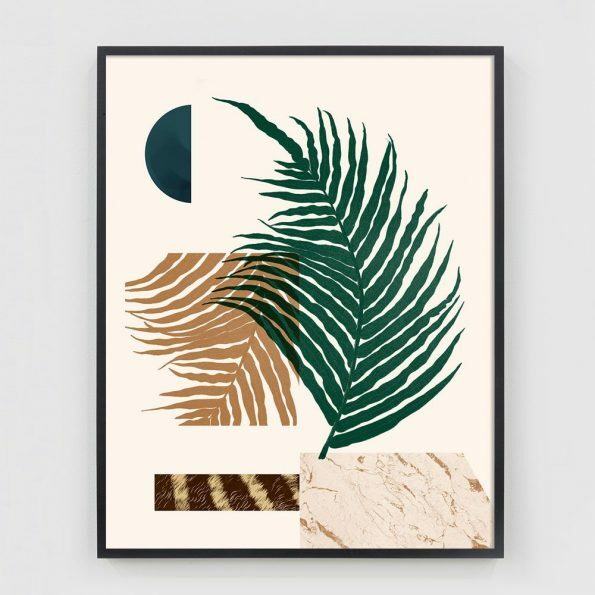 This new series of graphic collages uses a combination of Art Deco-inspired geometric shapes, textural painting, and botanical imagery in varied muted palettes. 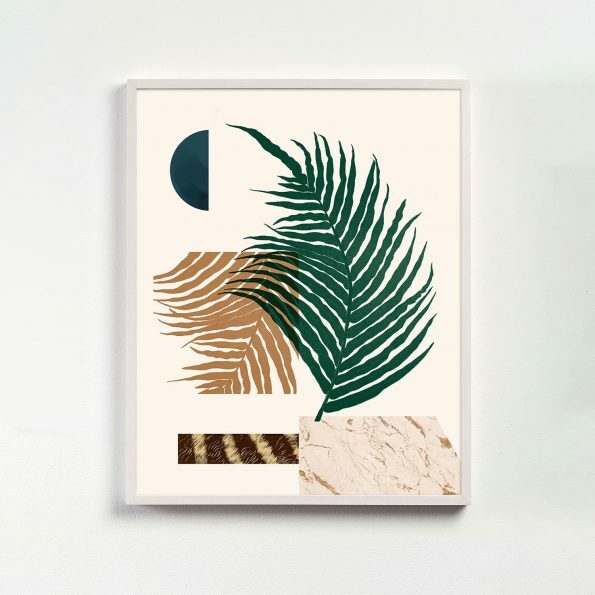 This new series of graphic collages uses a combination of Art Deco-inspired geometric shapes, textural painting, and botanical imagery in varied muted palettes. 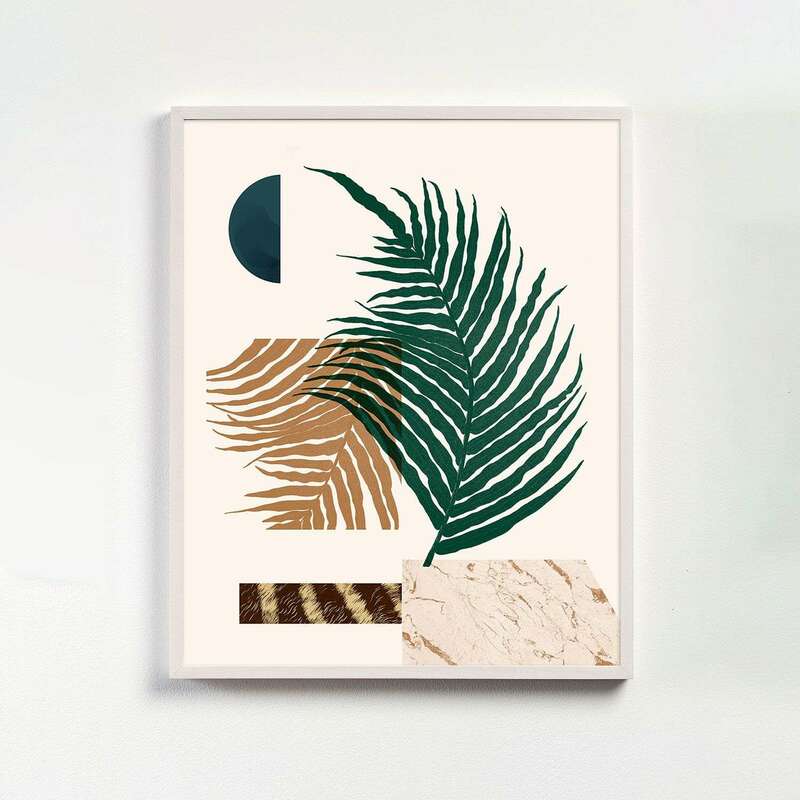 This print uses a palette of muted emerald greens and terracotta tones.